Violence in schools is a pervasive, highly emotive and, above all, global problem. Bullying and its negative social consequences are of perennial concern, while the media regularly highlights incidences of violent assault - and even murder - occurring within schools. This unique and fascinating text offers a comprehensive overview and analysis of how European nations are tackling this serious issue. Violence in Schools: The Response in Europe, brings together contributions from all EU member states and two associated states. 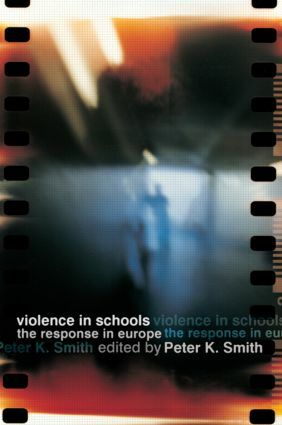 Each chapter begins by clearly outlining the nature of the school violence situation in that country. It then goes on to describe those social policy initiatives and methods of intervention being used to address violence in schools and evaluates the effectiveness of these different strategies. Commentaries from Australia, Israel and the USA and an overview of the book's main themes by eminent psychologist Peter K. Smith complete a truly international and authoritative look at this important - and frequently controversial - subject. This book constitutes an invaluable resource for educational administrators, policymakers and researchers concerned with investigating, and ultimately addressing, the social and psychological causes, manifestations and effects of school violence.